Task Pad™ organizes your notes for easy transfer to computer. Document tray provides a hard writing surface plus holds printouts of your computer calendar, emails or contacts. Task Pad™ is 20-lb microperforated paper so you can easily tear off important reminders for yourself. 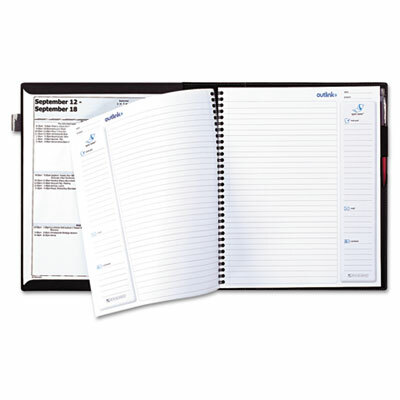 Business notebook with 80-sheet task pad and document tray. Task Pad™ organizes your notes for easy transfer to computer and is 20-lb. microperforated paper so you can tear out important reminders. Document Tray™ provides a hard writing surface for the professional on the go and holds printouts of your computer calendar, emails or contacts. Task pad is refillable.